we dismiss our ability to overcome these as not worthy of acknowledgement. YOU WILL HAVE NOTHING LEFT TO FEAR." mediocrity when there was so much greatness just beneath the surface. 1. I don’t care about you. 2. I don’t understand you. 5. You’re wasting my time. messages. It’s a wonder people ever talk to you again! in times of stress in order to remain calm and in control. 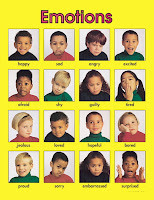 They have emotional intelligence. a direct assault on them or is in some way all about them. That is the truth. Let it sink in. amazing or believe you’re the worst, again, is more about them and how they view the world.